Social media land in the ski world has a new favorite summer ski hashtag, #NotOverIt. 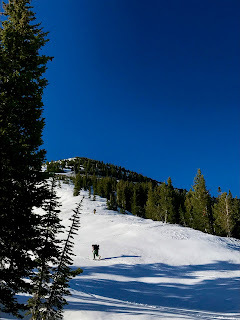 As in, I am not tired of skiing, and I am going for it in the summer. 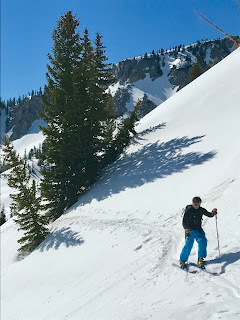 I do personally love late spring and summer skiing for a variety of reasons. However, I must admit that the time does come when I am #OverIt, and I don't see that as a bad thing. 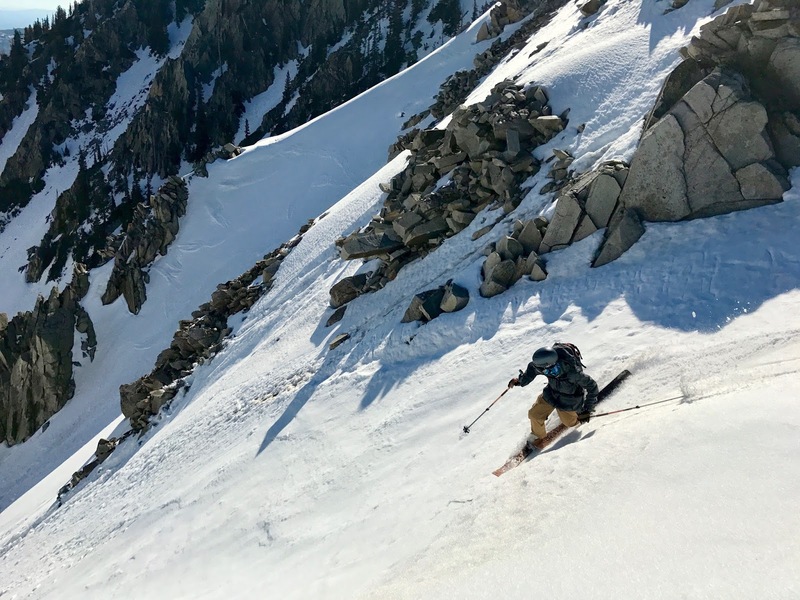 ^For one good reason that summer ski tours rule, the summer ski missions are typically fewer and farther in between then my winter schedule. It gives me a good reason to get up with the sun, which I do often in winter, but much less in summer. A good sunrise is a beautiful way to start any day. 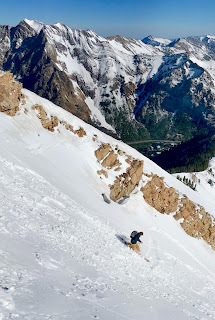 ^Seeing my ski friends is another reason why the summer ski tour mission is special. As it goes with most folks, busy lives make it harder to see people I'd like to. However, an occasional summer ski mission usually stokes up the ski homies to get together, and in the busy heat of summer I really don't get to see those friends as often as I'd like. 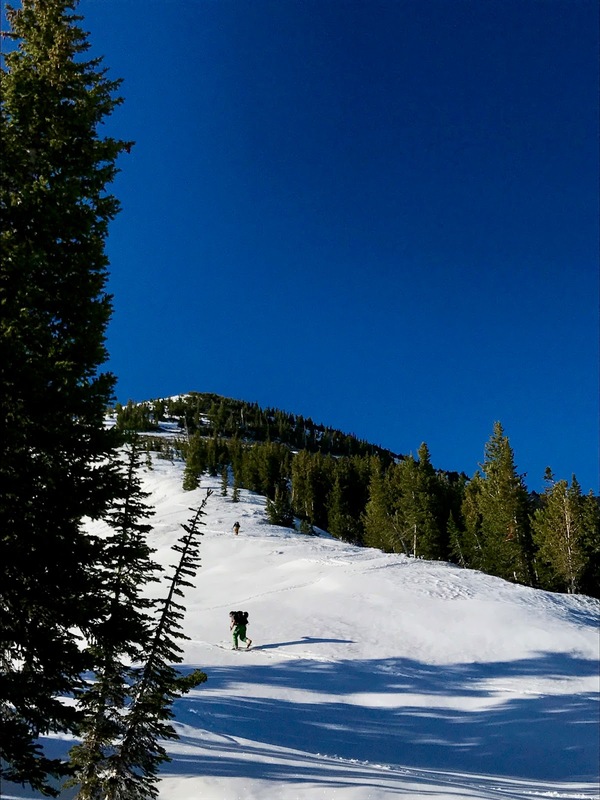 In the picture above, Josh Madsen, traverses a skin track. 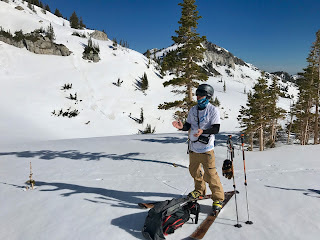 Strangely enough, even though I see Josh all the time in making content for Telemark Skier, we rarely get to tour together. 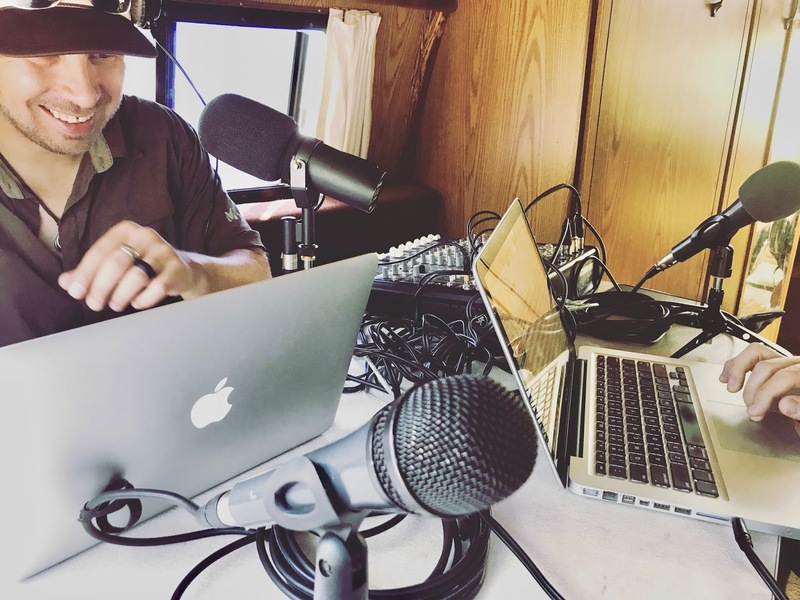 In fact, this particular summer tour was the first time we'd toured together this year! Crazy how time flies. 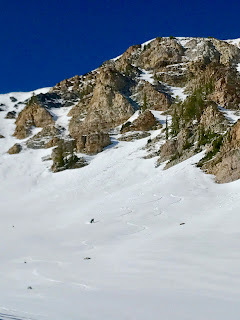 The unique nature of the summer ski tour, and the convenience of the schedule this time of year made that possible. ^Taylor Johnson was out with us too. 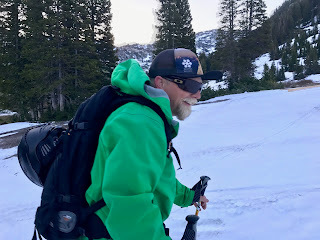 He is good at telemark skiing. ^Madsen has still got it too! ^ Madsen was pretty smiley about the run coming out the apron to Taylor and I. ^Taylor applauded Madsen's fine summer snow technique. 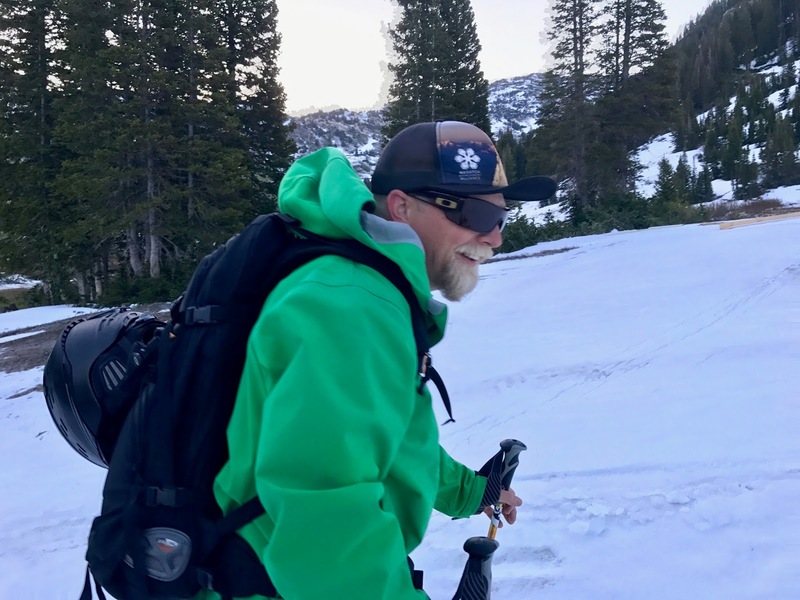 ^The Ogden Adventure Show podcast wasn't over it either, and they invited me to talk about telemark skiing and my career with them one sunny morning from their van parked at Pineview Reservoir in Ogden. It was a really cool morning. Hosts, R. Brandon Long and Todd Oberndorfer, took me for a Stand-Up Paddle tour on Pineview and then we climbed into the van and recorded the show. Super cool dudes, well done show, and a fun experience for me all around. ^...Travis Bellantino stopped by with his son. In a freaky cold summer storm, Alta got 6 inches of new snow. 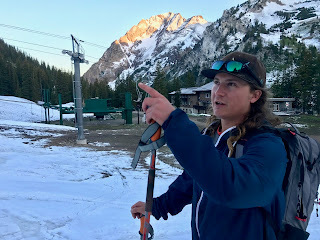 Travis put out an invitation to tour up through the closed resort to Main Chute high above Alta. Alex and I couldn't resist so the following morning it was on. ^It was a great way to start the day. A brisk tour under a gorgeous sunrise. 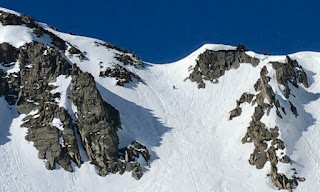 In the picture above, Travis glides across the ridge through a view of Mt. Superior in Little Cottonwood. Sunny skies, ski buddies, and some exercise are just a few great reasons to be #NotOverIt, among others. ^The exercise part. 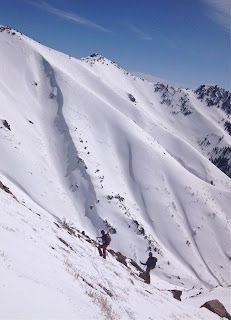 Travis and Alex make their way up the last steep ascent before the peak. ^In this picture, Travis is rolling out smooth and fast apron turns on the thick fresh six inches. The summer snow is really never all that great, but that is really not what it's about. 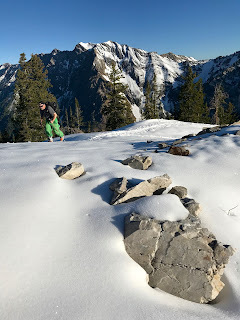 As I mentioned, it's more about seeing the ski buddies, getting some exercise, and often times scouting new terrain or getting the feet wet in a new zone. After the day with Alex and Travis though, I was indeed #OverIt. Also, as I said at the top of this, I don't think that is a bad thing. Every year I eventually get there. Where I just have to hang the skis up for summer. I have to let nagging injuries heal. I have to get out on my bike and pedal. I have to take family trips. I have to get to work on other kinds of projects. I also think, that to a certain degree, I have to step back from skiing for a while each year in order to be able to miss it. Thus, in turn, really enjoy it even more so when it comes back again. I love the anxious anticipation of the fall when temperatures and ski movies begin to drop. I love jonesing over magazine content. 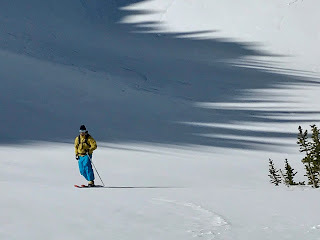 Daydreaming about Japanese powder stashes. 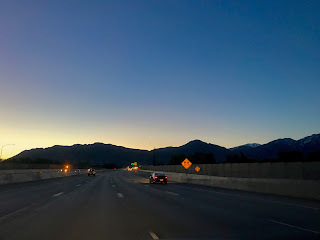 Then, when that first tour of the season is under way and I stop for a deep cold breath of mountain air, I really do relish and appreciate it more so I think then if I had never stopped at some point in the summer. So while many of my friends roll the totally noble endless winter, it suits me better at some point each summer to totally be #OverIt, and for me that is a really good thing. Cheers to summer and all things warm weathered like family vacations, constructions projects, cool summer breezes, tall cold drinks, lakes, rivers, woods, and hell... even mosquitos!